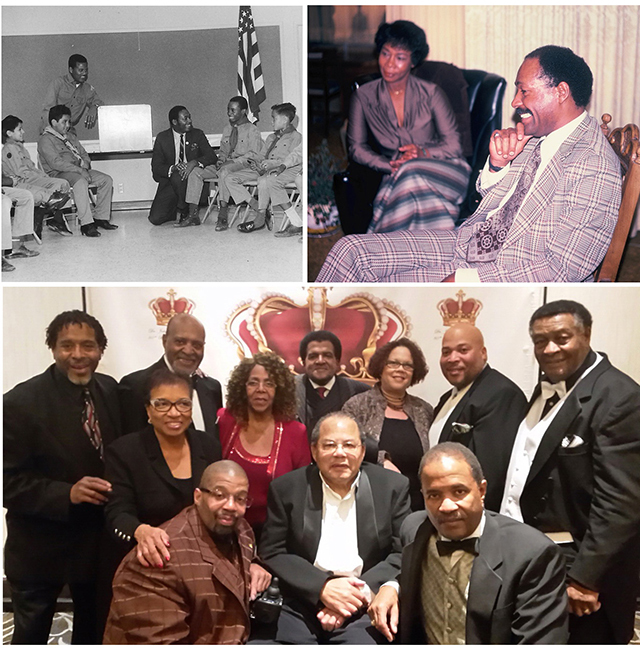 Last Friday some family and friends came together to celebrate the 80th birthday of my friend Rev. Dr. John Woods at the Double Tree Inn in Ontario. His children –Reggie, Dexter, Regina and Dominic — organized the celebration along with his grandchildren and great grandchildren. It was a joyous occasion to be with his many friends that span the years he has been in California and take a trip down memory lane with them. I have known John and his family since the mid sixties when he first came to San Bernardino as an engineer with the Aerospace Department. I had received a cut-off notice for electricity to the house he was moving into on the corner of Wilson and Magnolia when he came out and introduced himself. Needless to say, I told him how to sign-up so the lights would not be turned off and we have been friends ever since. We introduced John to our friends and he soon worked himself into the community and was eventually appointed to the school board. I had the opportunity to share with Reggie some information about his father before the celebration and of course he shared it at the party and I would like to recap some of this man’s history with you. John came to us from Tennessee from a Baptist household and was a member of Calvary Baptist Church. He became friends with Dr. Herb Fischer who became his campaign manger for the school board race. John became a hero in the Black and Mexican communities during his tenure on the school board as he championed causes that mattered to those students. He put forth the motion and got the board to pass the resolution to establish BSU and UMAS organizations in the district according to an article in the Sun Newspaper in 1969. Many in the community including the Black city councilmember Norris Gregory opposed the resolution. Over 70 Black Fathers came together and formed an organization to support John’s efforts on the board. John also fought for equal right for all students regardless of race to be bussed to all schools in the district. These brave actions caused some citizens to recall him and four others from the board of education. John also was supportive of community organizations like the Boy Scouts, Boys Club, NAACP and Operation Second Chance led by Frances Grice. According to one article in 1970, John went back to Washington DC to help seek funding for Operation Second Chance. He also ran for congress in 1972 on the Republican Party ticket but in this newly created Democratic district that was a hard hill for him to climb. John was our management consultant for Kaiser’s Comprehensive Health Care Program in Fontana and later hired on the recommendation of our friend Art Forbes to the top management of Kaiser to develop and implement affirmation action programs in eight separate medical centers and the regional office in Southern California. John, in turn, selected me to be coordinator of the program at the Fontana Center to assist him in carrying out that objective. In an organization where women comprised over 85% of the workforce it was difficult to get women promoted into upper management at the time and Blacks and Hispanics were scarce in many departments and medical centers. Fontana was a hotbed with the state head of the Klan living in Fontana at that time when the KKK marched downtown in their sheets. At the Bellflower Medical Center we had an administrator with a Confederate Flag hanging on his wall behind his desk so you had to look at it as you talked to him. Each medical center had its racial stories and the same was true in the regional office that John worked in everyday. Thanks to trailblazers like Dr. John Woods, Art Forbes, Sandra Cox, Harriett Clark, and Ron Knox and with the support of people like Dr. Raymond Kay, Jim Vohs, president and CEO of Kaiser at the time, and Robert Erickson, Legal Counsel things changed for the better. Today Kaiser is led by a Black man Bernard Tyson and my friend Larry Oliver, a Latino, is Chief Administrative Officer for the Southern California Permanente Medical Group at Fontana Medical Center. It was not easy during those days because John also was reporting to someone who did not believe in the program which made his task hard and resulted in many ups and downs for everyone involved. But John, seeing the bigger picture, would swallow his pride, pray and keep on keeping on, until one day he said, “Hardy I cannot take it any more.” John drove his company paid car to the Fontana parking lot and left the keys with me and said, “the Lord has a greater Affirmative Action Program for me and that is harvesting souls for the Kingdom.” And, on that Thanksgiving weekend our families loaded up our campers and took our families to Las Vegas and John never returned to Kaiser other thank to get medical care. John was called into the ministry on December 28, 1975 and was licensed to preach on June 20, 1976 by New Hope Missionary Church. 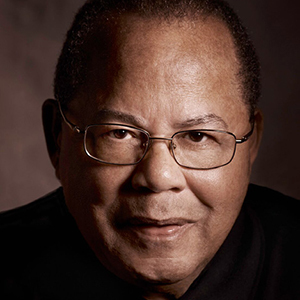 There are many other contributions John has made to our community but not enough time and space to share all at this time but when you see his son Dr. Reggie Woods, President of Inland Empire Concerned African American Churches, you can ask him about his dad.